The online travel space just took on new meaning as Google announces its upcoming purchase of ITA Software Inc.’s proprietary travel software. According to the news, Google will pay $700 million for the world’s most coveted airline reservations technology. If Bing, Expedia, Orbitz and Kayak ever had a nightmare about competition, this news is a waking dream. Don’t say I didn’t tell you so. For those that know anything about the online travel space, the profits, how it all works, Google just bought a huge chunk of the travel pie, and they bought it cheaply too. Not many realize just how companies and Expedia and Orbitz garner so many travel bookings. While the strategies and integrations are slightly circuitous, it is actually quite simple. It all boils down to visibility, and a set of user added value. Expedia, for example, uses a network of online platforms such as TripAdvisor (on the client side), and affiliates to direct people back to their booking engine. The booking engine being the money making engine. So, what did Google just buy? You darn tooting Google will. According to the Boston Herald, Google will use the technology to better serve up Google ads alongside very relevant search results (refined by ITA’s technology). Sorry Eric, I don’t mean to blow the whistle. 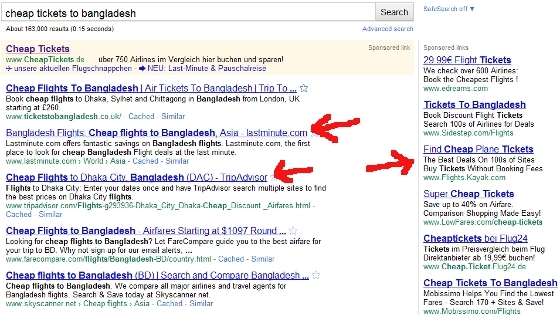 Let’s imagine now a Google contextual ad next to your search for “cheap tickets to Bangladesh,” shall we? If you are in Germany (like me for instance) a geo-specific query result is as illustrated below. Our old friend Expedia’s TripAdvisor “visibility tool” is in position, as is competitor LastMinute, and as you see Kayak decided to buy their way into the first page position via Google’s ads on the right. I should not have to do much explaining here, if you need more your interests are likely better suited elsewhere. In the most Machiavellian scheme you can imagine Google just buys Kayak, another “visibility tool”, or just builds their own. The buying of Kayak has been rumored, but Google is actually not inclined to be so evil. Even if (when) they do enter the “visible value” space, fair competition will dictate a degree of equilibrium here. But, let’s move to an even more interesting aspect. And I bet not one-single-solitary executive at Expedia, LastMinute, Orbitz or the others has thought of this. Wow, I love Google. Even if Federal regulators somehow limit Google to buying the technology under constraints, Google may very well totally reorganize the industry. How? No one can tell Google how to render their search results. Have you got it yet Expedia? No one can regulate Internet search mechanisms to dictate the “accuracy” and relevancy of search. In travel, nothing could add more relevance than technology and data like ITA possesses. So, in a very real way, Google can argue they need the technology for their ongoing quest for relevance. But, there is more, much more. There is such a thing as “black hat SEO,” which basically means doing unscrupulous things to convince Google and other engines to index stuff better. Taking TripAdvisor as an example of maybe “gray hat” activity, there is a case for Google to simply penalize Expedia’s little wonder child for bascially “spamming” the engine. Execs at TA have already “admitted” there are fake reviews on the site, but of course they blame those nasty restaurant and hotel people for inserting them. Fact is, those reviews not only provide a massive credibility problem, they are SEO content too. What if TA hired content people to add reviews here and there? Who can truly say they do or don’t? And, many people are mad about TA’s handling of their affiliates. Let’s not dally on this objectionable point. Something TripAdvisor does have control of is the titling of the places you want to see around the world. Of course, no one can demand that anyone know how to spell, but therein resides another rub. Besides the fact that TA’s reviews are largely arbitrary and meaningless for the vast majority of places in the world, in a very real sense they are of very limited relevance value – and more specifically Google. Whether Expedia and TripAdvisor purposely use “dark hat” SEO techniques is not for me to say, but Google in another story. The really bad thing about some of TripAdvisor’s possible strategies is that they spread. A year ago, when we were providing content for Stay.com (a notable Norwegian travel startup) it became apparent that TripAdvisor listings in Google, especially for lesser known venues, basically owned the Google landing page for queries. 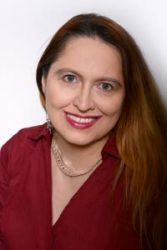 Now other online travel entities are emulating these strategies, black hat, gray hat, or no hat at all – basically relevance is being watered down. Enter Google’s best argument for the ITA acquisition. In case Eric Schmidt and the other brilliant people at Google have not considered this (fat chance), call this section “professional courtesy.” Expedia and the other players will fight this acquisition as best they can – or wrangle another angle vehemently. The point is, with the data Google has they can argue correctly that given travel search methods significantly damage the value of Google. End game. The reason I say “end game” is because Google’s biggest value is relevance and trust. 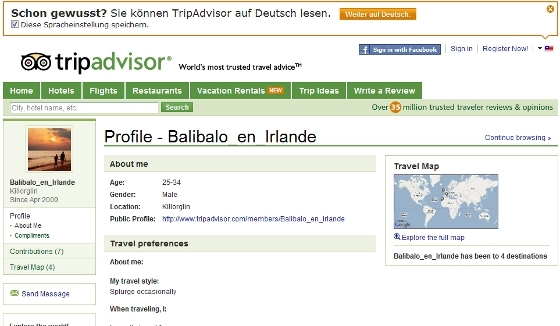 Typing in “Barcelona restaurants” in Google, and selecting TripAdvisor’s result, leads to a non-professional and basically arbitrary listing where the supposed top restaurant Con Gracia reveals no official review – and a user named Balibalo_en_Irlande, who somehow wrote seven wordy reviews, but nothing about himself? Ratings and user generated content are valuable – but not outside reality. Frommers, for instance, provides far more detail, and a rating aspect, as do some others. In the end a traveler can choose to read 10 reviews from people they have never laid eyes on, or put some trust in Frommers. Does Con Garcia have the best dining experience for Mediterranean cuisine in Barcelona? Well, the traveler is right back where he or she started from. Con Garcia does however offer a TripAdvisor button and link back to Expedia’s evangelists. 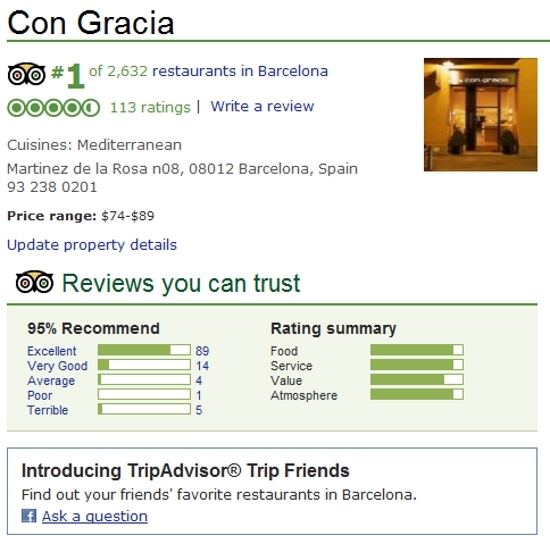 Why TripAdvisor did not add the multitude of images on Con Garcia’s site is anyone’s guess. The point is, TripAdvisor is of limited value in real contextual or user value. But they are seen – a lot – too much where true user value and relevance are concerned. I focus on TripAdvisor for one reason only. And this is something anyone who has read my analysis will know, Expedia has virtually unlimited capability to produce a better mousetrap. Maybe the economics get in the way, user content supported by real Frommers type reviews (or better yet on site verifiable user content) is expensive. This is why Stay.com used TripAdvisor reviews combined with original content, as well as simplicity to provide the industry core – free user value to sell bookings. Google, Expedia, Kayak, NileGuide, and all the others can learn from this. I expect Google already understands all these issues intimately. Google search accounts for over 70 percent of the market. In order to maintain this lead they continually have to provide a better experience and better relevance. TripAdvisor or anyone else listing hundreds of thousands of venues, propped up with only sound bits, will not fly on Google much longer. Then there is another argument. A much larger one actually. “Is the consumer better off relying on Google Travel for value?” If people want Google in travel, Federal regulators will be stymied to prevent it. More importantly, all this maneuvering will eventually lead to better user value, more trust, and an online travel industry the way it should be. Google has always led the way in forging this process forward – just like any leading innovator. Who will emerge on top? Whoever does it best. In concluding, I cannot help but laugh at how Expedia shot themselves in the foot on this one. This may be a case of going viral requiring some antibiotics. That is, if my “theories” are correct. As for Orbitz? Frankly, they have not had the good sense to even build a TA clone. With Expedia stocks under $20, and Orbitz about to enter the “over the counter” penny stock range, one would think business development would be top priority. Plugging Stay.com up there may seem needlessly mercenary since we work with them, but they can stand on their own merit. My reasoning here is not to promote them, but to illustrate how stagnant some of these companies are. I know for an absolute, some of the leaders are not even interested in great ideas. This is a subject for a latter discourse. But, the reader can take solace in the fact that Google has got your back.